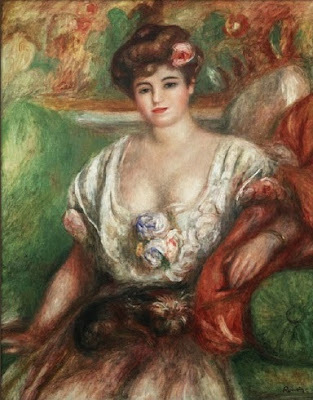 Misia Sert was a muse to art luminaries such as Renoir and Monet, a talented pianist, a respected art patron, and a close confidante to the late Gabrielle Chanel. 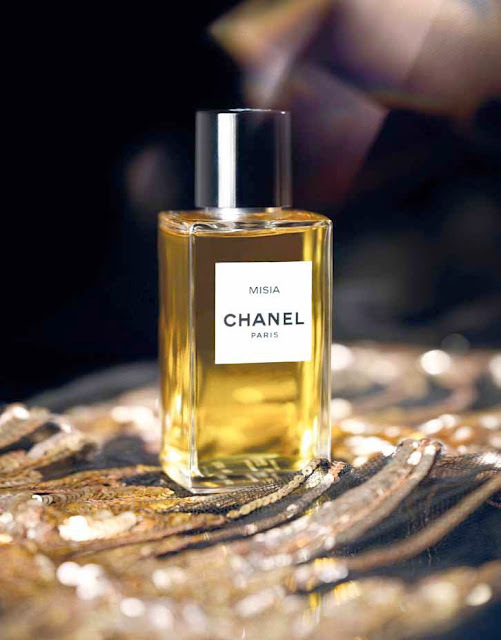 She is considered by some to have had an indirect hand in the birth of Chanel No 5. She was a powerful taste-maker in art and fashion circles, and ran a saloon (not a salon, as I've heard some people mistakenly call it!) frequented by the creative intellects of the day. She had a knack for spotting and surrounding herself with talent. Arthur Morand described her as "a collector of geniuses, all of them in love with her." "You had to be gifted before Misia wanted to know you." Given her close relationship with Mademoiselle Chanel, it is perhaps fitting that one of Chanel's fragrances be dedicated to the legendary muse herself. I admit I had my doubts when I first heard that Olivier Polge would be taking over from his father Jacques Polge as the in-house perfumer for Chanel. While I personally find his genius manifests itself more when he pushes the envelope with genre-busting releases like Dior Homme (a powdery iris-cocoa-lavender scent which a distinctive "makeup bag" feel), he is probably better known for rich, patchouli-laden, sweet amber scents like Flowerbomb, Jimmy Choo, and La Vie Est Belle, all of which I enjoy, but find to be quite like one another. When I heard the notes and description for Misia, I literally rushed down to the boutique to smell it because it surprised me so much. On the Chanel site, the notes/accords listed are simple violet, rose, and leather. On sites like Fragrantica, you get a whole host of other notes like iris, orris root (I thought iris WAS orris?! ), Turkish and Grasse roses, benzoin, tonka. And then on some perfume blogs, I saw mentions of sandalwood as well. Confusing much? Here's what I get on the skin. I definitely get the big puff of powdery violets and iris; something you might smell when you open a tin of Guerlain's Meteorites or Bourjois Java rice powder. It's a bit quaint, a bit nostalgic, a bit dreamy. But right after that, the raspy blend of rose and leather comes right in for me. It's not a very bitter, tarry leather. More like a translucent version of the leathery saffron note in Lancome's Magnifique. As the scent warms up further, the syrupy rose comes out more. It is like a drop of rose oil, not like a bunch of rose petals. But it's still balanced by a slightly more watery facet of violets, the soft purr of leather, and that ever-present "shimmery" powdery edge from the iris. I love iris, so I almost wish it was a bit more prominent here, but on my skin it's just a light dusting over the rose and leather. About 1-2 hours in, the powder comes back out, but this is the creamy warm benzoin and tonky perhaps. Not so much the cool, clean powderiness of iris and violet. At this point, wearing Misia is like being hugged by an impeccable woman wearing expensive makeup. The cosmetic smell is there, but it is not in your face. Then finally at about 4-5 hours, the fragrance dies down to a skin-scent for me, and I can see where people might smell sandalwood. For me it's just the residual dry-down of the violet and leather and rose that creates that sweet, tangy, skin-like effect. Lasting power is above average for an eau de toilette, and I find the sillage/throw to be average. Not incredibly strong, but not a skin scent either. 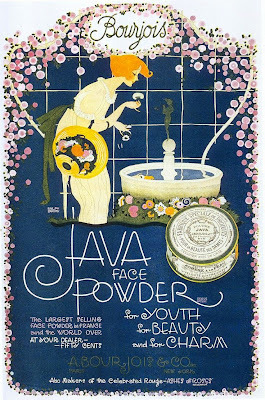 This is gorgeously retro and beautifully womanly, but not in an obvious way. There's a certain modernity and a transparent airiness to it. It's more Dita von Teese than Marilyn Monroe, shall we say? I've seen a lot of people comparing it to classic Guerlains. I don't quite agree. Aside from the makeup-y feel of the powdery violet at the start, this does not have that thickness and weight classic Guerlain scents do, although I see where they're coming from. It's certainly not like classic Chanels either. And unlike the other modern "dark roses" which I enjoy, like Dior Ambre Nuit, Le Labo Rose 31, or Atelier Colognes' Rose Anonyme, which have a certain "in your face" earthiness where the perfumers almost delight in rubbing the dirt in your face and downplaying the rose, there is a refined and restrained quality to Misia (relatively speaking) that is very Chanel.